Just before the show at the Palladium, JrockRevolution.com had an opportunity to chat with Sugizo, Shinya, and Ryuichi. 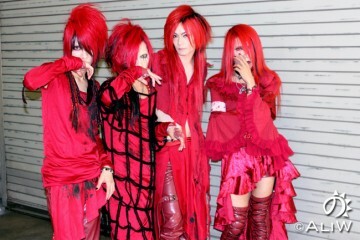 We talked about the present, some of the past and the near future for their World Tour: Reboot. 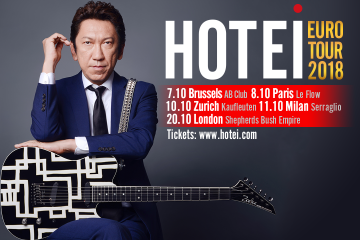 At present, Hollywood is the second stop with the first being Germany and other dates being in Asia. 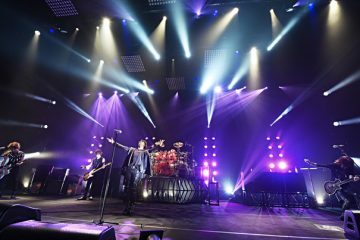 You can find tour dates and information about Luna Sea right here at JrockRevolution.com. This is the first part of the interview with the final piece being published tomorrow! 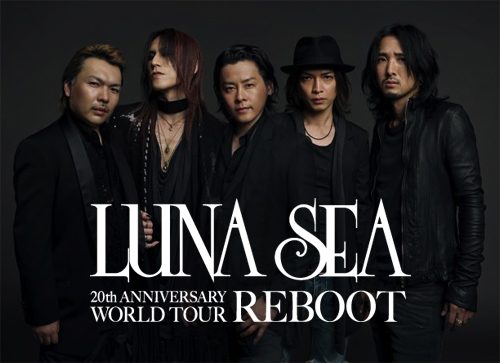 The name of the tour is “Reboot”, but is this a ‘rebooting’ of Luna Sea from where they left off? A deeper meaning in that it’s going back to the drawing board? Sugizo asked what Reboot meant to us and we said it could mean just ‘picking up’ from the point of their hiatus. In their active days, Luna Sea was definitely a band that made its mark early. They became an iconic band that inspired artists then and to this day. Not many bands in Japan would not know their name. In fact, we were curious enough to ask why ‘Luna Sea’, which seemed a play on words. Or was there a deeper meaning to that, too? Every one of us seemed to look at Ryuichi for an answer and he explained the roots behind the band’s name with a little help from Sugizo, who outlined a bit of the timeline. With the show tonight, we asked Ryuichi for a message for the fans looking forward to the performance. 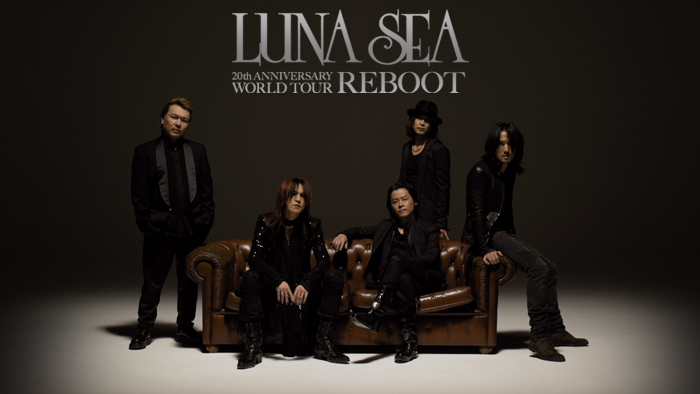 Luna Sea plays tonight at the Palladium Theatre in Hollywood, California, the second stop of their world tour “Reboot”. Tune in tomorrow for a review of the show, the second part of the interview and a peek at the meet and greet that took place last night! 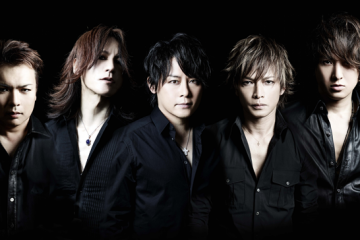 We’re up to part two of our interview with Luna Sea, done a bit before their show at the Palladium Theatre last night. Check out the first part, watch out for our live report and update on the meet and greet on Friday! In this part, we took a look at the young Luna Sea and a flavor of the future. 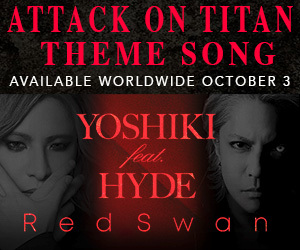 We continue with vocalist, Ryuichi, guitarist, Sugizo and drummer, Shinya. As young adults, everyone has idols to look up to. We asked the three about when they were young and if they could talk to any of their inspirations. What would they have hoped to convey to those inspirations about what you were about to embark on musically? Ryuichi started off among the three in answering. “Rather than having something concrete to say to someone I admired or adored, it’d be more like catching some feeling or ambience from them.” Our translator then asked if there was someone specific he’d have in mind. “In particular, maybe Morrie from Dead End,” Ryuichi replied. “But there just wouldn’t be something concrete I’d have to say.” Experience, it seemed, was as equally important. Shinya expressed a regret in not seeing Led Zeppelin live. “That’s something I wished I could have done,” he said. Both Sugizo and Shinya agreed on one thing as well. That as musicians, it’d be more meaningful to them communicating through the language of music rather than verbally. Sort of having a jam session, which would bring them closer than words would. A very profound idea and one that definitely goes beyond mere expression of a single message. 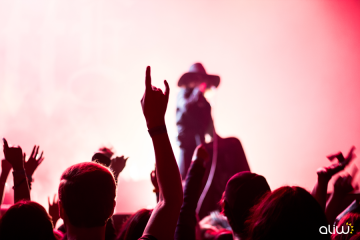 On the inverse to that, fans and artists alike have cited Luna Sea as being a major inspiration to them, be it musically, spiritually or in other ways. We asked what were some of their most memorable moments being on the opposite side of the first question and being the inspiration. With little time left before the scheduled meet and greet, we chose to take a look at the world outside of music. In the last decade, between the Internet and the developments of social networking, we were curious about the way artists are in multiple places, such as Facebook, MySpace and Twitter and how Luna Sea planned on expanding after coming back together, or if it was important to how they plan their future. Sort of going back to basics, we asked? “Yes, exactly,” he nodded. Ryuichi concurred. 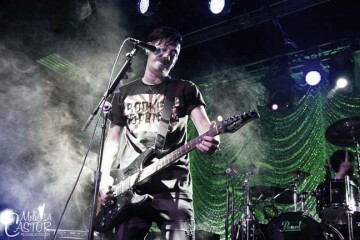 One thing was more than apparent at their live show. Not only has this legendary band performed well when they were together a decade ago, but they haven’t forgotten what it takes to make an incredible show. Our thanks to Sugizo, Ryuichi and Shinya for taking the time to give us some wonderful insight to a band we hope to see more from in the near future. Next Article雅-MIYAVI- : What’s My Name?